“My heart sank Friday as I walked down Pennsylvania Av in Washington and saw a giant reviewing stand had been built in front of the White House. Eight years ago this is where I was so filled with pride when I saw our new President Barack Obama, and his family, as they were about to enter their new home. Knowing it was now about to house Donald Trump was almost more than I could take. I went through security into the White House because the President invited me in to come by for a few minutes before he left office. I turned the corner to the Oval Office to see him looking more energized than he has in months, and with that huge smile on this face that has lifted so many of us so many times. I wish I could have bottled the look in his eyes so all the people I know, and don’t, who feel dishearten now, who are so fearful of what comes next, and who feel a sense of loss, know he is absolutely not, under any circumstances, going to stop fighting for what we believe in. I believe Barack Obama was the greatest President of my lifetime, but as I heard him talk, I remembered he is about more than political office. At so many times—his amazing speech about race in the first campaign, his powerful words after Sandy Hook, his second inaugural when laid out the imperative of attacking climate change—he has moved us beyond politics to elevate our values. This is his great opportunity now; just as America faces a crisis of values, a great debate about who we really are at our core, he will be speaking not as just a politician, but as a moral leader. In many ways we need that even more today than great politicians. In the couple minutes we had left we talked about what I am learning in my own evolution from political to civic leader; about what you can and can’t do in and out of office, and how much can be done if each of your statements aren’t filtered through the cynicism people have for politicians. We said goodbye and I walked out of the White House, past that reviewing stand, but didn’t feel the same sense of dread. Donald Trump will be my President and I won’t try to delegitimize him even though many, including Trump, tried to do that to Obama for eight years. But we can fight for what we believe, and fight back, hard, when we see something wrong. And, remembering that look in the President’s eye when he told me, “We aren’t done yet”, and remembering all we have seen during his remarkable Presidency, I know he will be with us every step. Later that night Megan and I went to a farewell party at the White House. I talked to Obama’s Education Secretary Arne Duncan who has gone back to Chicago to work on youth violence prevention, to former Attorney General Eric Holder who is organizing opposition to unfair redistricting around the country, former White House political director and Ambassador Patrick Gaspard who is working on citizen engagement with George Soros, Gabby Giffords is fighting the gun violence that robbed her and so many others of so much, activist actors like Alfre Woodard who has been through waves of social movements saying she’s now ready for the next phase. Obama has been a President but Obama is also a movement that isn’t done on Jan 20. Back in 2007, when I was working with activists around the country in the Draft Obama campaign, I wrote a blog on a national website saying: “Barack Obama is a great man but this is not about him. It’s about setting off a movement.” The next day he called my office, said that’s the way he saw it, that he was community organizer who wanted to light the spark, and he recruited me to volunteer for what was then a long-shot campaign. I still feel that way, and it’s clear he does, too. Well, I tried, as did over 59 million American voters, but Donald Trump was not to be stopped. Trump’s victory is a victory for the old America and a rejection of the past eight years under Barack Obama. It’s a big step backwards, away from the America of freedom, openness, and multiculturalism that had brought millions of immigrants, like me, to its shores. Not only did Trump improbably win the White House, but the Republican Party held on to its majorities in the Senate and the House. The political results will come swiftly: Merrick Garland, nominated many months ago by Obama to the Supreme Court will never become a member of the Court, whose conservative majority is now guaranteed for years to come. The Affordable Care Act could be abolished and the fate of those twenty million with new health insurance is unknown. The future of the nuclear deal with Iran is highly uncertain. “Get ready for a rough ride,” writes Los Angeles Times’ Doyle McManus. Still, this is not the end of America. The political forces, from Trump himself and other Republicans to President Obama and Hillary Clinton, have all quickly urged the coming together to ensure the peaceful transition of power. We are Americans first, patriots first, said Obama. “We all want what’s best for the country.” Tomorrow, he will receive Trump in the White House. For the anti-Trump forces, for the losing side, there are some silver linings in the dark clouds. Hillary Clinton won the plurality of the vote, 59,679 million to 59,472 million for Trump. But she lost the all-important Electoral College vote, failing to reach the magical number of 270. And that’s really all that counts. That’s happened before, most recently in 2000, when Al Gore won the plurality of votes but still lost the election to George W. Bush. It’s time to do away with this antiquate election system and elect America’s president on the basis of how many votes he/she gets. California, Hawaii, Maryland, Massachusetts, and Vermont belong to the group of states where Clinton captured over 60 percent of the vote, followed by New York State with 59 percent, Washington State 56, and Illinois, New Jersey, and Rhode Island 55. In Washington, DC, almost 93 percent of the voters supported Clinton. For Trump, Wyoming gave him his largest victory margin with 70 percent of the vote, followed by West Virginia 69, Oklahoma, 65, North Dakota, 64, Alabama and Kentucky 63, and Tennessee 61 percent. It was urban vs. rural, the two coasts vs. the heartland. The election shows a country split down the middle, more divided than anyone had realized. The Democrats failed to capture the majority in the U.S. Senate but they had some success by electing three new, female, senators: Kamala Harris, California, Catherine Cortez Masto, Nevada, and Tammy Duckworth, Illinois, an Indian/African-American, a Latina, and a Thai-American. Maryland has a new U.S. Senator, Democrat Chris Van Hollen — my former Congressman — who, in turn, was succeeded by Jamie Raskin, also a progressive Democrat. 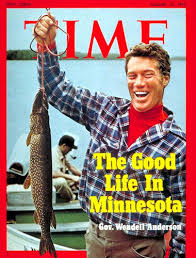 In Minnesota, which I have followed closely a few years, Clinton squeaked through with 46.8 percent of the vote, or 43,000 votes, but the Republicans increased their majority in the State House and captured the majority in the State Senate. Democratic governor Mark Dayton’s two remaining years in office will not be easy. 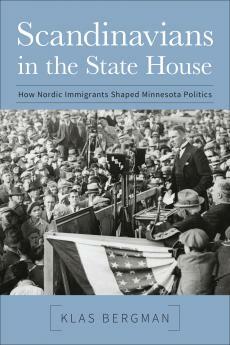 Minnesota also elected the first Somali American to the State Legislature. 34-year-old Ilhan Omar, who came to America as a child after years in a refugee camp, captured 81 percent of the vote in her Minneapolis district and became not only the first Somali-American legislator in Minnesota, but in all of America. That’s not Trump’s America, but it is my America. The presidential election campaign all of a sudden got more contentious, more exciting, and more important with the death of Supreme Court Justice Antonin Scalia, the leading conservative on the Court. The voters on November 8 will now decide not only who occupies the White House after President Obama, and who controls the U.S. Congress, but also who, conservatives or liberals, will control the third branch of the American political system, the Supreme Court. With Scalia gone, the Court is tied, 4 – 4, between conservative and liberal justices. An Obama appointment would almost certainly swing the Court to a liberal majority and, for the first time since 1972, the justices appointed by Democratic presidents would outnumber those appointed by Republican presidents. The change would be monumental. The Republicans in the Senate led by majority leader Mitch McConnell have instantly made it clear that they have no intention to consider an Obama nominee, no what who that is. The decision to appoint Scalia’s replacement should be made by the next president. But Obama is not elected to a three-year but to a four-year term. He has almost a year left in office and he has, rightly, declared that he intends to nominate a new justice. So we are in for a big fight, a complicating, new factor in an election campaign already fraught with uncertainty and tension. McConnell, who famously said during Obama’s first term that his primary political goal was to make sure that Obama was not reelected now wants to deny the president, who has already appointed two new high court justices, the chance to appoint a third. McConnell’s stern “no” could have serious election implications for the Republicans and their goal to keep their Senate majority, as NYT’s Nate Cohn outlines. We’ll see how this plays out. The death of Scalia is also an important reminder of how totally unpredictable the system of appointing Supreme Court justices is. It’s time to change what’s been, rightly, called an undemocratic system by doing away with life time appointments and create more orderly nomination procedures with term limits and a retirement age. In Minnesota, to which I presently spend a lot of attention, the retirement age for the state’s highest court is 70. That’s a bit young, maybe, but why not 75? And why not a 20-year term limit? Or both? Sadly, such reforms are seldom part of the American political dialogue. They should be, particularly as the politicization of the Supreme Court shows no signs of abating.